Online Storage Auction at A Self-Storage Depot located in Hendersonville, NC. Bidding takes place online at https://www.lockerfox.com/auctions/details/850553 Unit may contain Microwave,Air Conditioner,Vacuum Cleaner. AMERICA'S NEWEST AND BEST STORAGE AUCTIONS. Winning bidder must conduct actual purchase in person at the storage facility and remove all contents of the unit within 72 hours. Online Storage Auction at A Self-Storage Depot located in Hendersonville, NC. Bidding takes place online at https://www.lockerfox.com/auctions/details/850515 Unit may contain Electric Heater,Tape Players. 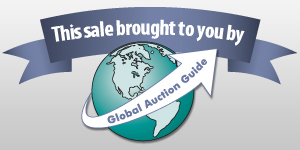 AMERICA'S NEWEST AND BEST STORAGE AUCTIONS. Winning bidder must conduct actual purchase in person at the storage facility and remove all contents of the unit within 72 hours. Online Storage Auction at A Self-Storage Depot located in Hendersonville, NC. Bidding takes place online at https://www.lockerfox.com/auctions/details/850583 Unit may contain Assorted Clothing,WEED TRIMMER. AMERICA'S NEWEST AND BEST STORAGE AUCTIONS. Winning bidder must conduct actual purchase in person at the storage facility and remove all contents of the unit within 72 hours.